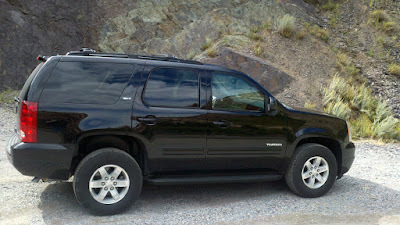 This vehicle represents one of GM's strongest product lines; trucks. From a comfort standpoint the vehicle rode smoothly, the leather trimmed seats were nicely adjustable and heated (which was good for the morning mountain drives) and it was quite spacious. With seat belts for eight, if you were to use the fold up seats in the way back, there is ample room for a family, friends and perhaps pets. If, like me, you like to camp, the vehicle has plenty of room for the whole family plus camping equipment (just remove the rear seats). The four wheel drive system has no low range, so serious offroading isn't an option, but getting to a camp site down regular dirt roads and well away from civilization wouldn't be a problem. The system is switchable, so the vehicle can run in two wheel drive mode when on dry pavement or limited four wheel drive mode when the surface is less than stable. I personally like this feature as it allows for better fuel economy when four wheel drive is not necessary, but gives you the option of engaging the system when it is. The suspension is what one would expect of a large full size SUV. Bit of a rough ride, firm at times so you feel most every bump in the vehicle, but not so much the passengers, as the seats were quite comfortable. In the corners I had to remember that is was the fore mentioned full size SUV; it rolls on its suspension if cornering too hard. In short, it's a truck, drive it like it's a truck. Once that is taken into consideration, it drives well, rides well and is comfortable. 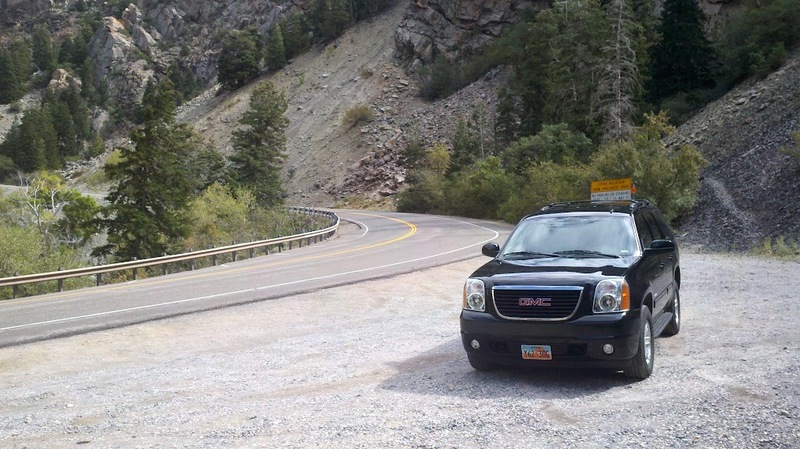 The V8 engine the Yukon has under its hood is probably the highlight of the experience. With plenty of torque and a reasonably high rev limit, around 5000 RPM, it would pull the bulk of the Yukon along quickly and accelerate nicely. Along with that, it has quite a nice exhaust note. The biggest weakness this vehicle has it shares with the Equinox I reviewed earlier; its transmission. The six speed automatic gearbox is its Achilles Heal. Unless you are riding on the highway at a nice steady speed, it's constantly in motion. Touch the gas pedal, and it down shifts, usually twice, then up, then down again, then up. Here it struggles with revs that are too low until you mash your foot to the floor and it downshifts again, probably two gears, so now it's screaming. Every time I wanted to accelerate, it was a constant fight with the transmission to find just the right gear. It does have what passes for a manual mode. Here, once again, like it's little brother the Equinox, the +/- button is not in a reasonable location. In the Yukon it's actually on the column shifter. I'm not sure, but if GM tried if they could find a worse place to put the shifter controls. Cumbersome and just plain inconvenient. Unfortunately the Yukon isn't available with a manual transmission. I think almost all weakness in this area would be completely eliminated with a decent 5 or 6 speed manual transmission. On the subject of ergonomics, there are other problems in this area as well. Proper driving should see the driver with two hands on the wheel and the buttons on the steering wheel are decently places, but other controls are simply difficult to get to, especially while driving. The controls for the dash displays are on the center of the dash almost out of reach and hidden behind the steering wheel. The windshield washer control arm is short, and also inconveniently hidden behind the steering wheel. When I went to wash the windshield I frequently found that the left turn blinker would turn on as a result; the motion was difficult to do while driving and required torquing the blinker arm to wash the windshield. I also found the center console to be large and intrusive to my driving position. 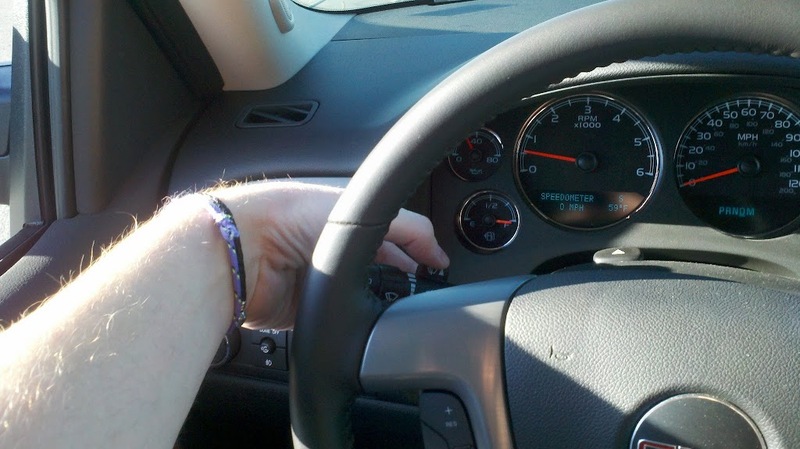 With both hands on the wheel it's not too much of a problem, but once on the Interstate and on smooth roads with little variation I tend to drop my right hand to my lap. At this point the center console was very uncomfortable at the height that it sits. It would have been much better for it to have been lowered. It would have been smaller, perhaps, but far more comfortable sitting in the driver's seat. On the upside, it was a convenient reminder every time I wanted to drop one hand off the wheel to put it right back on there again; it was uncomfortable enough that I didn't want to drive one handed as a result. I expect most of the interior ergonomics problems would be adjusted to over time, but from my initial contact with the vehicle, they were obvious and uncomfortable. Ergonomics and the transmission aside though, and as long as I wasn't trying to turn a corner quickly, the vehicle was comfortable, had ample power from it's V8 engine and had an excellent exhaust note. Acceleration was accompanied by a fantastic soundtrack, if perhaps just a little too quiet. For a family, perhaps with a dog or two, this is a perfectly serviceable full size SUV. I just wish it was available with a manual transmission.